Three years ago a magical new production came to the West End, bringing the wizarding world to audiences in an entirely new medium with an entirely new story. Some of the characters were old friends–Harry, Hermione, Ron and Draco. Some of the characters were new–Albus, Scorpius and Rose, to name a few. And they took us back to the place where it all started, to Hogwarts. They took us home in a whirlwind of brilliant stage effects, sound, lighting and performance, which created a show unlike any ever seen in theater. The original seven, as they are known, mesmerized critics and audiences alike, bringing J.K. Rowling’s magic to life day after day in a run that got extended month after month. 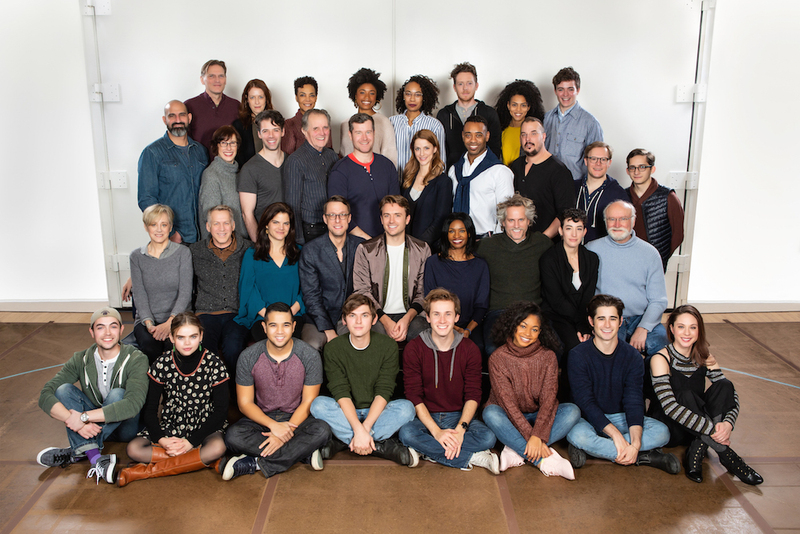 Finally, after two years and a record-breaking showing at the Olivier Awards, the principal cast transferred to Broadway, taking over America’s famed Great White Way. Anthony Boyle (Scorpius Malfoy), Sam Clemmett (Albus Potter), Alex Price (Draco Malfoy), Poppy Miller (Ginny Potter), Paul Thornley (Ron Weasley), Noma Dumezweni (Hermione Granger-Weasley) and Jamie Parker (Harry Potter), along with an incredible supporting cast and crew, proceeded to dazzle U.S. audiences for a year. 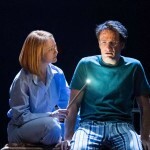 Now their time in the world of magic has ended, making way for a new cast to carry on the story, and the days leading up to their final performance were both joy-filled and bittersweet! Jack Thorne, writer of the script for Harry Potter and the Cursed Child, was among the first to comment on the approaching changeover. Over 3 years ago @MissDumezweni, @Popski_emski, @alexpriceactor, @DickLeFenwick, @AnthonyBoyle, @paulfthornley & @sam_clemmett began work on a play. They are about to finally leave @HPPlayNYC. They are the magnificent 7, and I will miss them hugely. 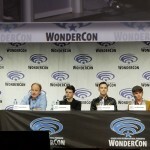 Boyle and Thorne then shared an exchange that set the Potterverse abuzz–how magical would it be if the two gents who originated Scorpius and Albus on stage returned in about ten years, properly aged and matured, to take on the role of their fathers? Great idea. I believe she’s off twitter at the moment – I’ll use an owl to ask. When the day of the last performance arrived yesterday, the memories and well wishes began to pour out in a flood. Noma Dumezweni, in particular, seemed overcome by her reminiscing, sharing throwback pictures with other castmembers and relishing in the journey they’d taken together. Then it was time to take the stage, and everyone knew what a momentous and magical night they’d borne witness to. And all too soon, it was over…the “magnificent seven” exited the stage door for the last time, greeting fans and induling the magic for just a little while longer. Jamie Parker, in characteristic good humor, capped off the morning after with a quip. Anthony Boyle, too, issued a tongue-in-cheek farewell with an ode to the white-blond shock of a wig that covered his natural dark brown hair. It was a fitting, smile-inducing punctuation to a perfect run in which the curtain call produced both tears and applause…but he’s right, now the stage is set for a new cast, and the former must move on. And fans don’t have to wait long because the new cast takes the stage for their first performance on March 20. So raise your glasses to the old and the new. We wish the original members all the best in their future endeavors and cherish the memories made with them while still looking forward to all the magic left to experience!